Add some silver accessories to your bathroom with this toilet roll holder. 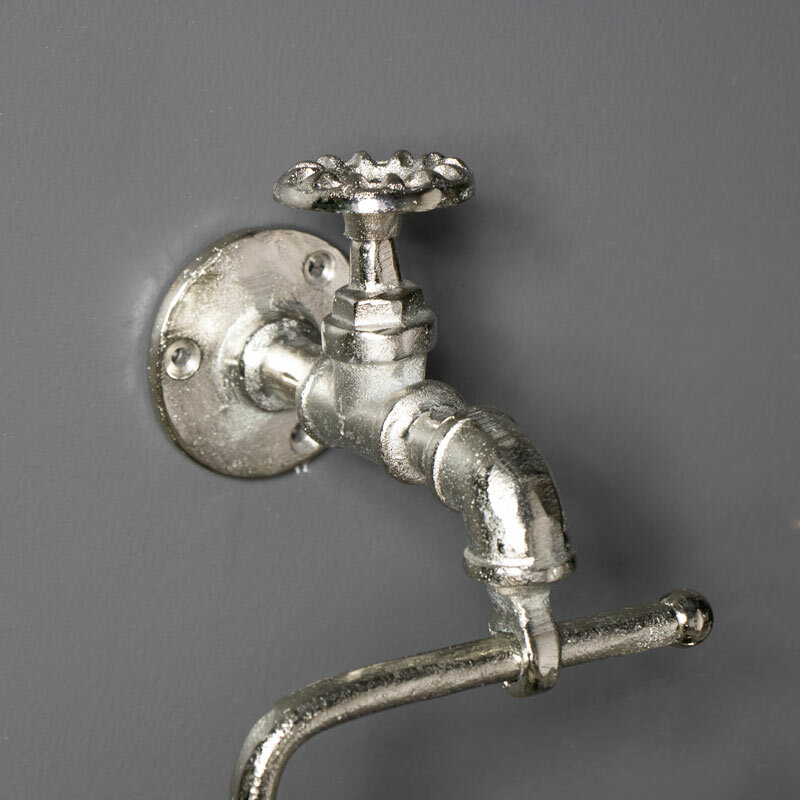 Shaped like a tap to create an industrial look. This toilet roll holder will add some character to your bathroom. In a bright silver finish that will stand out, just perfect for hanging the toilet roll on and keeping it tidy. With even more matching bathroom accessories available for you to carry on the silver theme. We also have these items in more colours. Add some silver accessories to your bathroom with this toilet roll holder. 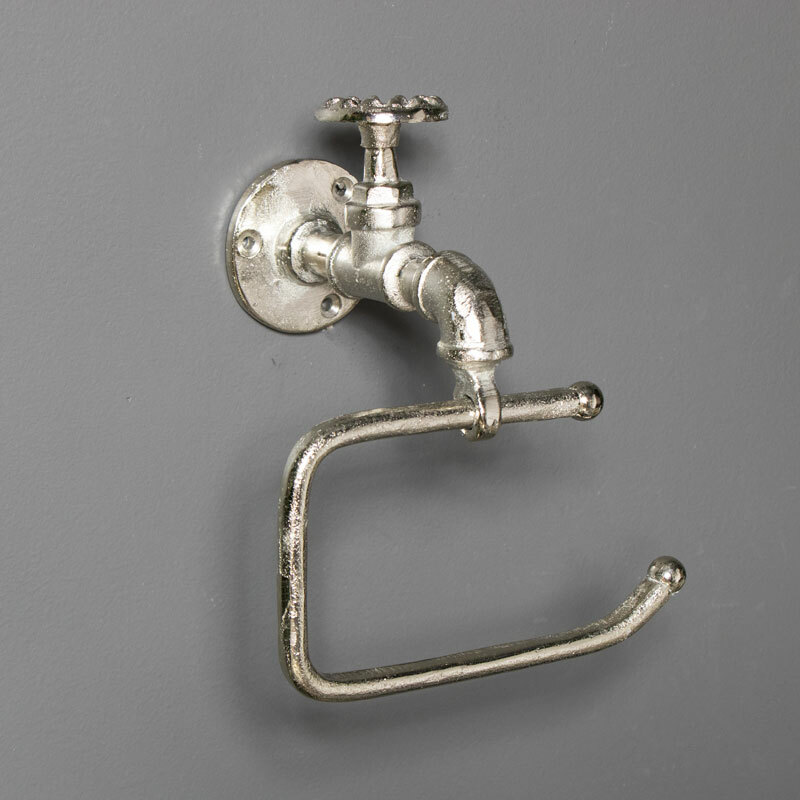 Shaped like a tap to create an industrial look. This toilet roll holder will add some character to your bathroom. In a bright silver finish that will stand out, just perfect for hanging the toilet roll on and keeping it tidy. With even more matching bathroom accessories available for you to carry on the silver theme. We also have these items in more colours.